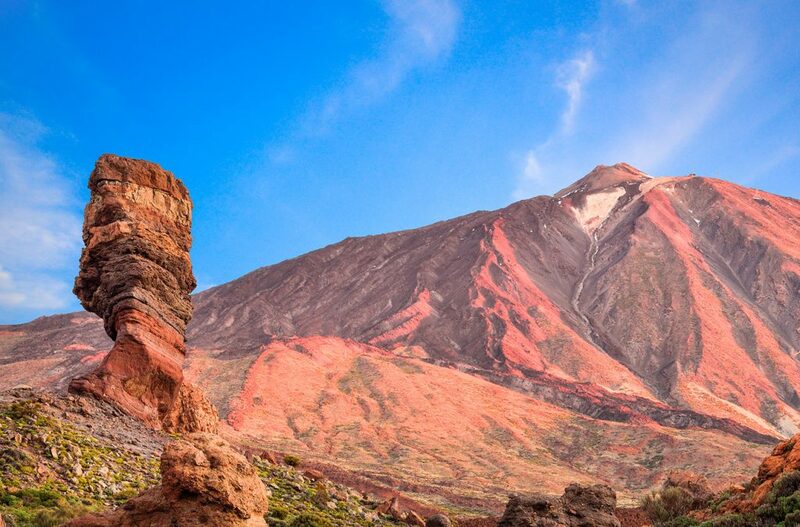 We have talked before about the history of the volcanic eruptions of Mount Teide and the volcanic origins of the Island of Tenerife. Today we want to give you a little insight about some of the most astonishing lava formations you will have the pleasure to observe in Las Cañadas del Teide during your sunset and stargazing tour with Teide by Night. 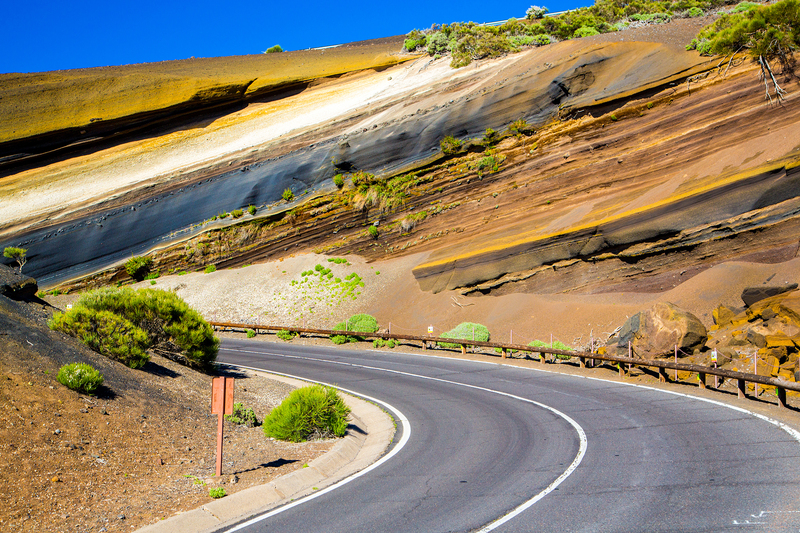 When entering the lunar landscape of the Teide National Park from the northern road La Esperanza, you will see a very beautiful volcanic formation by the road with several overlapped layers. These cake-like layers are the result of different volcanic eruptions that accumulated volcanic rocks and minerals of different colours and compositions. The white layers are made of pumice stone, a very light and porous material we have dedicated another entire post before and that you can read here. The black layers are made of basaltic lava rocks, which are characteristic of eruptions with low gas emissions. And last but not least, the reddish layers are also composed of basaltic materials, but the red colour is the result of an oxidation taking place when these materials come in touch with groundwater. 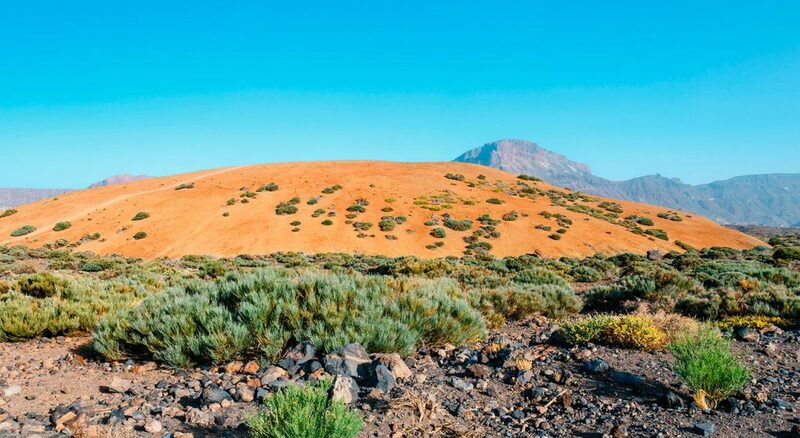 In the middle of Las Cañadas del Teide, you will see a light yellowish or white mountain emerging in the middle of the red coloured landscape. This hill with a soft slope is also formed by pumice stones and perfect to walk on top to have a better view of Las Cañadas. A very picturesque image! 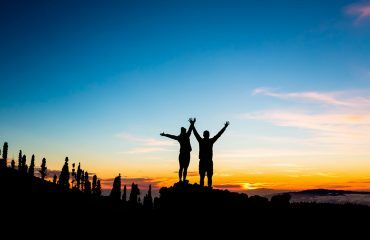 One of the most emblematic rocky formations you will witness during our Teide Sunset Tour is for sure ‘Los Roques de García’. No doubt you will recognize the famous rock that seems to be standing on a very thin base. In Spanish, it’s officially called ‘Roque Cinchado’ but people also name it ‘Árbol de Piedra’ or ‘Stone Tree’. A curious fact is that this rock used to be printed on the old 1000 Pesetas banknotes. 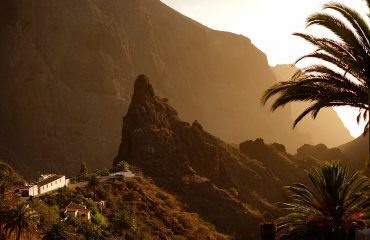 These are some of the most emblematic volcanic formations you will see during our special Tenerife volcano tour before the sun goes down and the stars begin to shine. 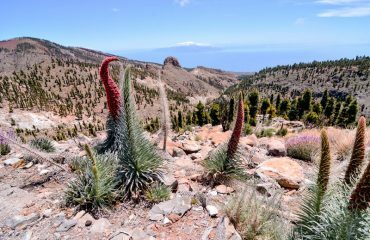 We will make stops during our Teide Guided Tour so that you won’t miss out any of these! 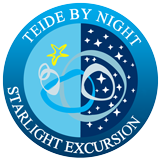 Book your Teide by Night experience now.